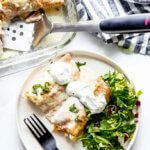 These easy chicken enchiladas with white sauce use leftover shredded chicken and a simple homemade white sauce for a quick and easy weeknight dinner your family will love. When you have a kid that won’t eat anything red, but you love enchiladas, then you have to start getting creative. Plus, it’s good to mix things up once in a while. 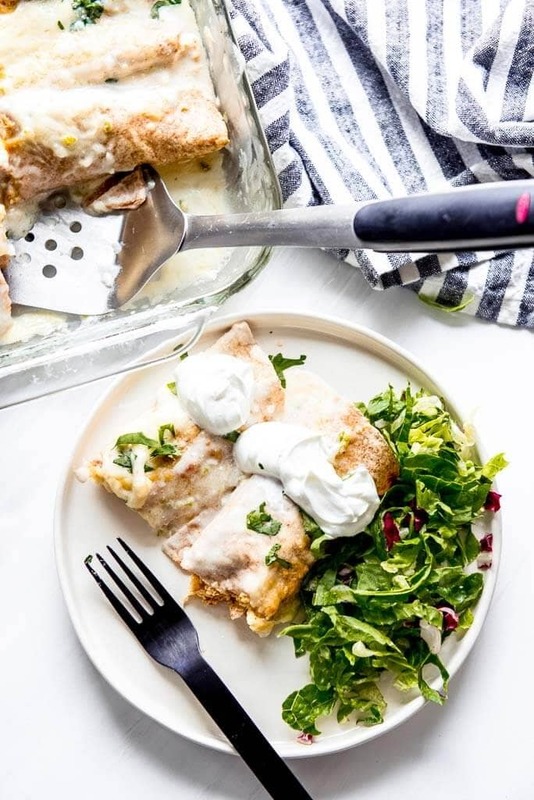 So instead of traditional, go delicious with these Chicken Enchiladas with White Sauce. 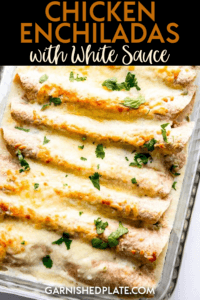 Not only does this give you the opportunity to have a great way to use up leftover chicken, it also gets you out of your dinner time rut with a simple to make homemade white sauce. 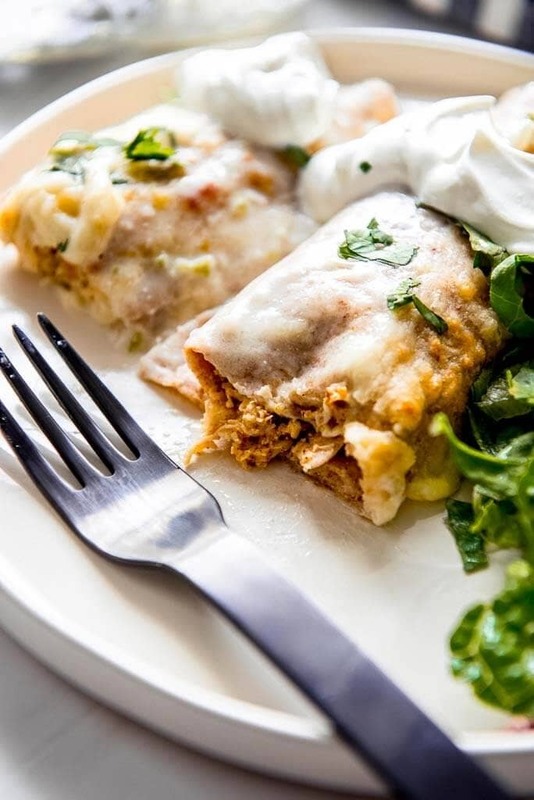 Can you add vegetables to your enchiladas? Yes! I chose to finely chop jalapeño, onion and garlic to add to my sauce and kept the filling plain with just the seasoned chicken, but you could totally up the filling by adding squash, beans, peppers or any other favorite veggies. 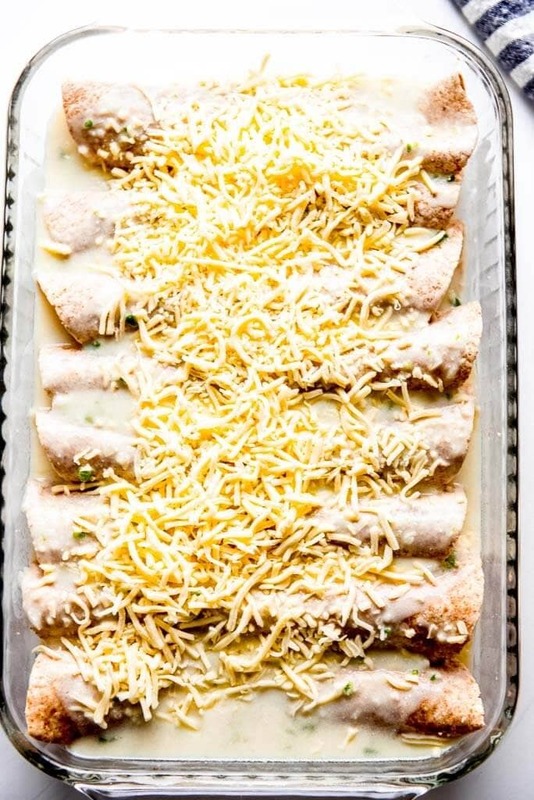 The fun part about enchiladas is that you can hardly go wrong. As long as you have the basic components including filling, tortillas and sauce! 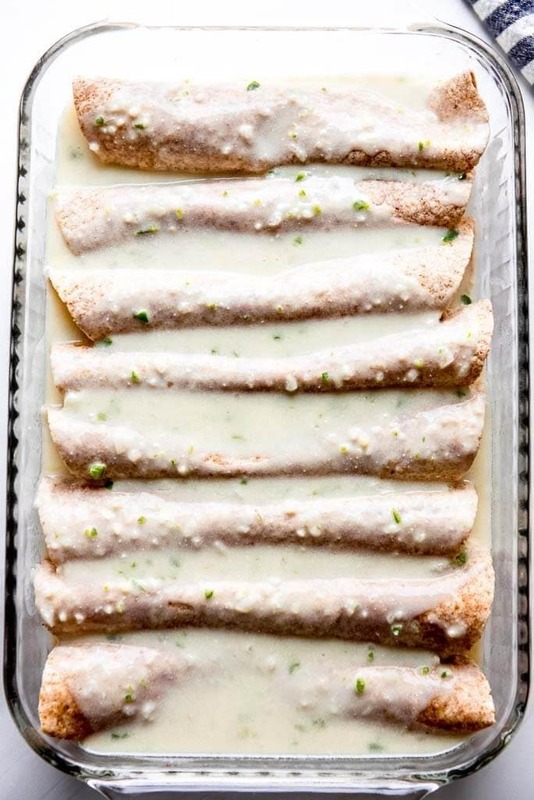 How do you make white sauce for enchiladas? It can seem intimidating at first to make a sauce from scratch but once you get the hang of it you’ll see it’s quick and easy. Bake with foil on top to get soft melty cheese or no foil for nice browned and crispy cheese depending on preference. Be sure you let them cool a bit so that the sauce can thicken a bit more before digging in! 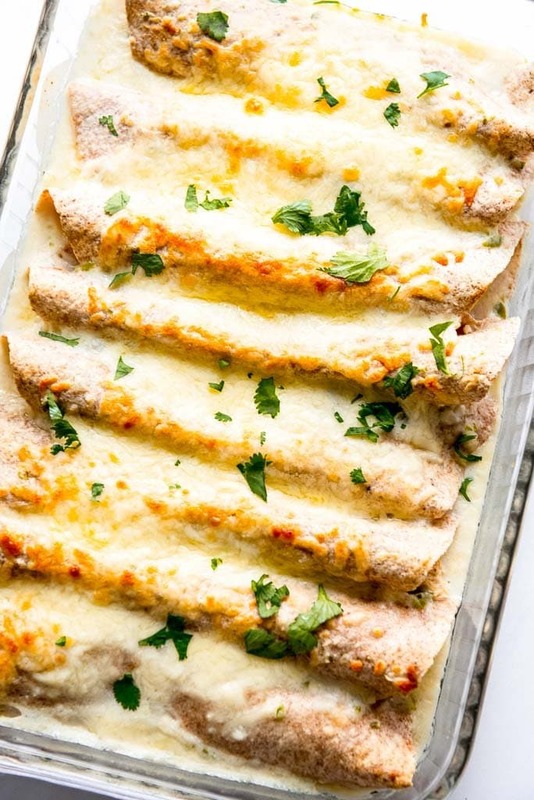 Baked covered with foil for melty cheese or uncovered for crispier cheese.